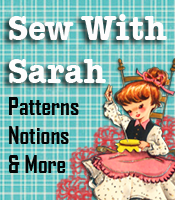 Fabrics.net has been online since August 1997 and they cater to a targeted niche that includes sewing enthusiasts, small and large fabric stores, small and large manufacturers, and hobbyists and students doing research. The goal of the site is to be a complete fabric destination so Fabrics.net has been compiling information about fabrics, trims, care, embroidery, knitting, vintage fabric and quilting for more than a decade. In addition to the wide variety of wonderful fabrics available to purchase from Fabrics.net, there is also a directory of other sources for fabrics, accessories, notions, patterns, sewing professionals, publications, trade organizations and much more. Additionally, you can enter your company information if you’d like for your business to be listed as a source. The first listing is free and there are minimal fees for additional listings or services. One of the neatest things about Fabrics.net is their free posting service that allows you to put your fabric requests out on the Internet. The site has many agents who pay a small subscription fee to see the listings, and the contact information from the fabric requests is only viewable by subscribers. That means that if you need say 25 yards of faux fur to create a new line of stuffed animals, you can post your fabric request for free, and any stores that carry the fabric will contact you directly. You don’t have to worry about spammers getting your contact information, and you get to compare prices and offers without having to run all over town or scour the Internet for a source. So if you’re looking for a special fabric, large amounts of fabric, or just need some information on identifying or caring for fabric, be sure to check out the abundance of information and sources available at Fabrics.net!